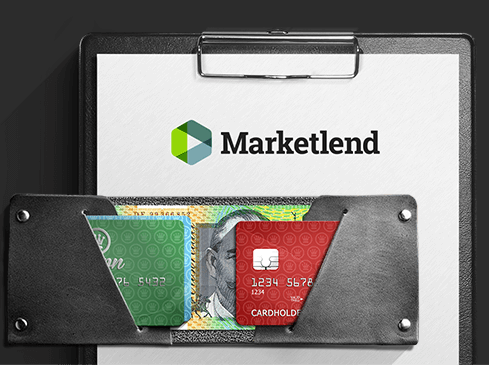 Here at Marketlend, we provide peer-to-peer lending so you don’t have to stress about dealing with big banks, and financial institutions. Instead, there is a large marketplace full of investors, ready to secure financial stability for your business. 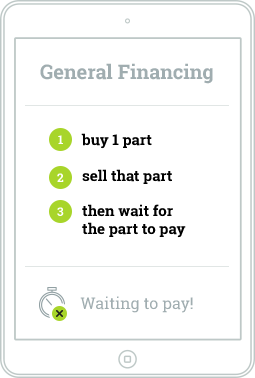 Choose the debtors you would like to finance. You can select as many or as few as you like. Send us the invoices, we do the rest, we pay, and collect (if you wish). Australian businesses are no longer viewing Debtor Finance as simply a short-term increase in cash flow option, but a strategic method to grow their business. “The enhanced cash position of a company can be used to employ more staff, for capital expenditure, or to take advantage of acquisition opportunities. With Marketlend’s peer-to-peer Debtor Finance solutions, you can fulfil your demanded output levels, stay up to date with your operating expenses, and receive any discounts from providing early payment discounts. But what type of business would require Debtor Finance? Debtor Finance is similar to an asset-based loan. When a customer purchases something from your business, you take record of their purchase using things such as an invoice, and they include the purchase in their balance sheet. Businesses have their Accounts Receivables in a balance sheet as an asset. The Accounts Receivable is a legal claim for payment from the business to its customer, which can be leveraged to secure a line of credit. To apply for Debtor Financing, your business submits the debtor name to Marketlend, who seeks an insured limit from the insurer, and obtains a commitment to fund the insured limit from its vast network of investors. Pricing is usually at least 1 to 2 per cent per annum per month cheaper than most other providers. But how does Debtor Finance work? To apply for Debtor Financing, your business submits the debtor name to Marketlend, who seeks an in-sured limit from the insurer, and obtains a commitment to fund the insured limit from its vast network of investors. 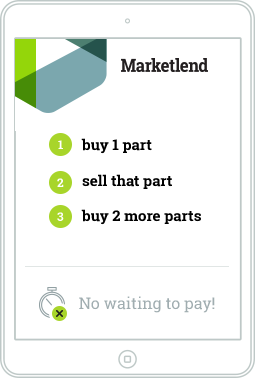 In a 24 hours or less, Marketlend processes the ledger and remits 90% of the value of approved invoices, and will credit you the reserve of 10% when the invoice is fully paid by your customer.